The Annual Victorian Transport Infrastructure Conference is back for another year in 2018. In its 10th year running, the Conference will be held at the Melbourne Convention & Exhibition Centre on the 11th and 12th of April, 2018. Following on from previous years’ successful events, the Conference’s agenda features a range of local and international transport infrastructure industry experts. Below are just some of the highly-anticipated speakers and their projects. Shohei Yoshida, General Manager of Central Japan Railway Company (JRC), will be presenting at the Conference on the connectivity and agglomeration of high speed rail (HSR) in Japan and how it can be applied in Australia. The JRC is responsible for running the Tokaido Shinkansen HSR transport system which travels up to speeds of 603 kilometres per hour. Serving Central Japan, the system operates around 23.7 per cent of Japan’s land area. However, while it only covers a small region of Japan, it ferries over 60 per cent of the population per day using 358 trains. In 1964, on the Series 0 train, it was a four hour journey from Tokyo to Shin-Osaka; nowadays the travel time is approximately two hours and 22 minutes. The system also corners the market compared to airlines. From Tokyo to Nagoya rail travel is 100 per cent of the market, to Osaka 85 per cent of people prefer rail, to Okayama it’s 69 per cent and to Hiroshima 67 per cent of travellers take the HSR system. Yoshida will discuss how the HSR system came to be the preferred mode of travel and further benefits in his comprehensive presentation. The Cross Yarra Partnership (CYP), a consortium led by Lendlease Engineering and joined by John Holland, Bouygues Construction and Capella Capital, is currently building the two nine kilometre tunnels known as Melbourne’s Metro Tunnel Project. Malcolm Macintyre, Head of Origination of Capella Capital, will be presenting on the Project’s progress and most recent updates. With construction now underway for the Tunnel, the CYP are utilising tunnel boring machines (TBMs) to carve out the tunnel system. These machines are approximately 100 metres in length, weigh around 100 tonnes, progress 10 metres each day and there will be four in use at a time. Cities such as Singapore, London, Hong Kong and Sydney all used TBMs to create underground rail. Lowered 40 metres into the ground, the TBMs have been custom built to suit Melbourne’s geotechnical conditions. Additionally, the official Metro Tunnel station names have been released. The station previously known as Arden is now North Melbourne, the current North Melbourne station will become West Melbourne, Parkville’s name suitably remained, CBD North will now be State Library, CBD South is now Town Hall and Domain Station will be renamed as Anzac Station. Premier Daniel Andrews has previously explained that these names appropriately reflect the places and history of Melbourne. Consolidated Land & Rail Australia want to propel south-eastern Australian’s into the future of rail travel with their CLARA Plan. Nick Cleary, Chairman of Consolidated Land & Rail Australia – CLARA, will discuss this plan in depth at the Conference. In a quick overview, the CLARA Plan outlines the private company’s aim to create eight new SMART cities, two in Victoria and six in New South Wales, in an attempt to maximise liveability, connectivity and improve current regional rail transport. The cities will all be connected by high speed rail (HSR). The railway will connect Melbourne to Sydney via Canberra with additional spurs to Wagga Wagg and Albury. The HSR carriages will travel up to approximately 430 kilometres per hour and will make the journey from Melbourne to Sydney in around 1 hour and 30 minutes. Funding will come from private based value capture models and investment from multiple countries in Asia. CLARA aims to begin Phase One in five years with a budget of $13 billion. Overall the project is estimated to cost $75 billion. Each new city created along the railway will house 400,000 residents in a decade and will receive $3 billion worth of new infrastructure. In September the Northern Territory Government successfully tested a driverless bus in Darwin, and in November, a similar trial began in Victoria. Stuart Ballingall, Director – Transport Futures for VicRoads, will discuss autonomous vehicles in Victoria at the upcoming Conference. 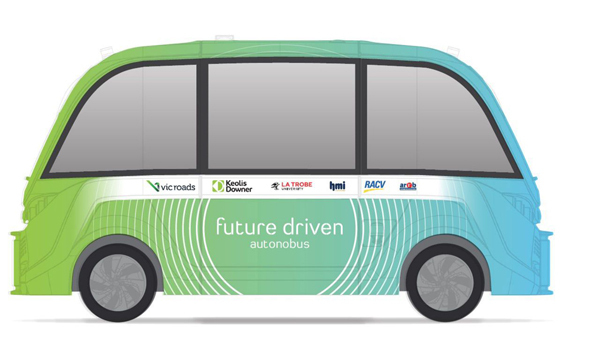 While the State Government makes progress towards adjusting the Road Safety Act, so it allows highly automated vehicles on public roads, La Trobe University will be testing a driverless bus on campus in a Victorian first. The project is partially funded by the State Government’s Smarter Journey’s Program. La Trobe University is working together with VicRoads, RACV, Keolis Downer, HMI and ARRB to develop the prototype and begin testing. The testing phase includes room for 12 passengers and three automatic stops along Scenic Drive to the David Meyers Building front entry, but passengers aboard can also custom select drop off points along the route. A similar project is also on its way to the University of Melbourne. These are just four of the topics and speakers lined up for the 10th Annual Victorian Transport Infrastructure Conference 2018. Attendees will also have the opportunity to network with the industry expert speakers and other senior level executives.